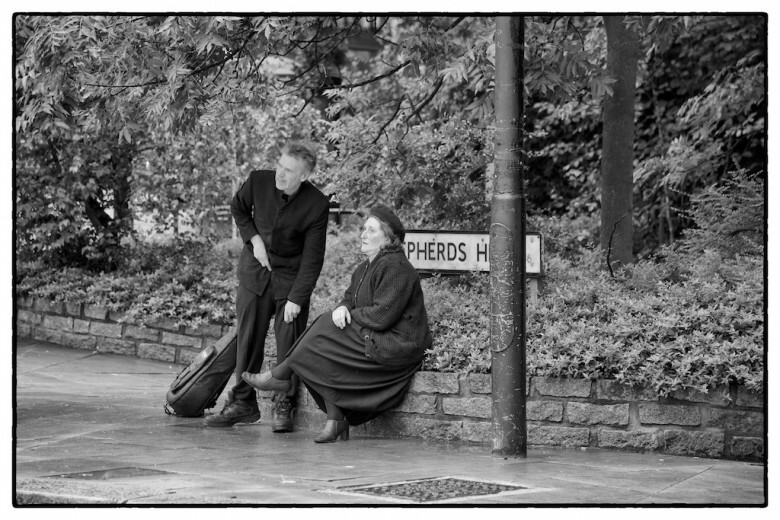 On Shepherds Hill by Highgate Station a couple await some friends. In C17th Shepherds Cot Farm, one of a number of small farms created from the former manorial Rowledge Farm of the bishops of London, gradually changed from arable to grazing land to provide London with meat and hay. The creation of the Finsbury Park to Alexandra Palace railway (closed by Dr Beeching in 1963 and now serving as a Parkland Walk) encouraged development this view excludes.